Give an everlasting Red Rose. 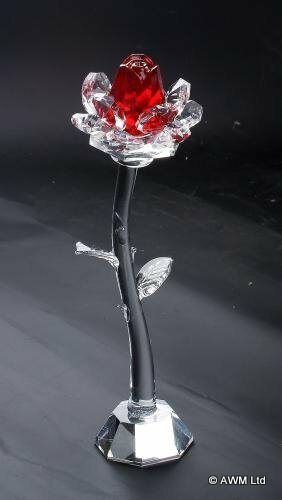 This is a beautiful Red Crystal rose, standing 140mm (14cms) tall. Complete with it's own gift box this quality crystal red rose with clear crystal stem and leaves would make a perfect Valentines day gift.